A serious brown leather bomber jacket for serious times. 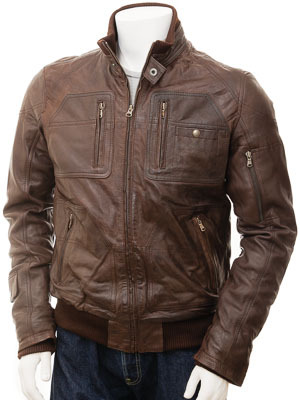 One of the great attractions of leather jackets is their toughness and practicality. 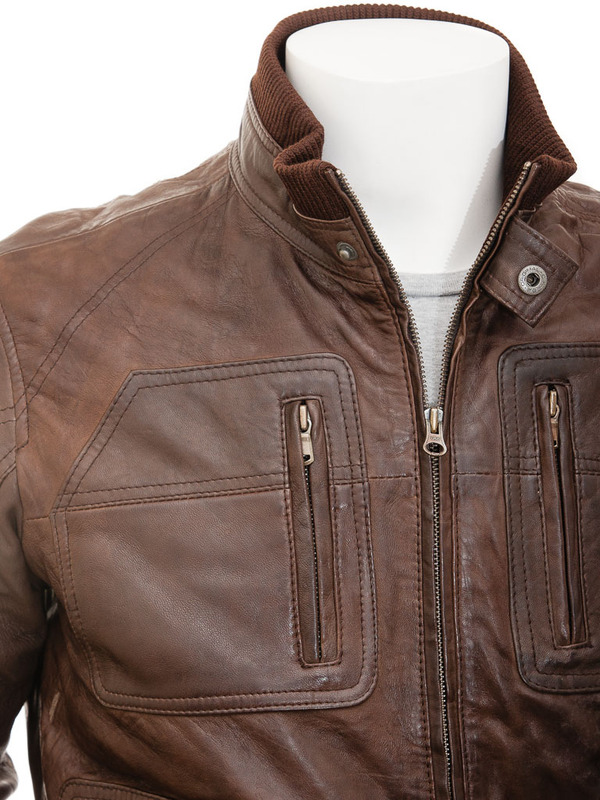 This garment epitomises that with a wealth of pockets and features overlaid on the highest grade sheep aniline hide. For warmth and shape retention, the jacket features rib knit collar, cuffs and hem. 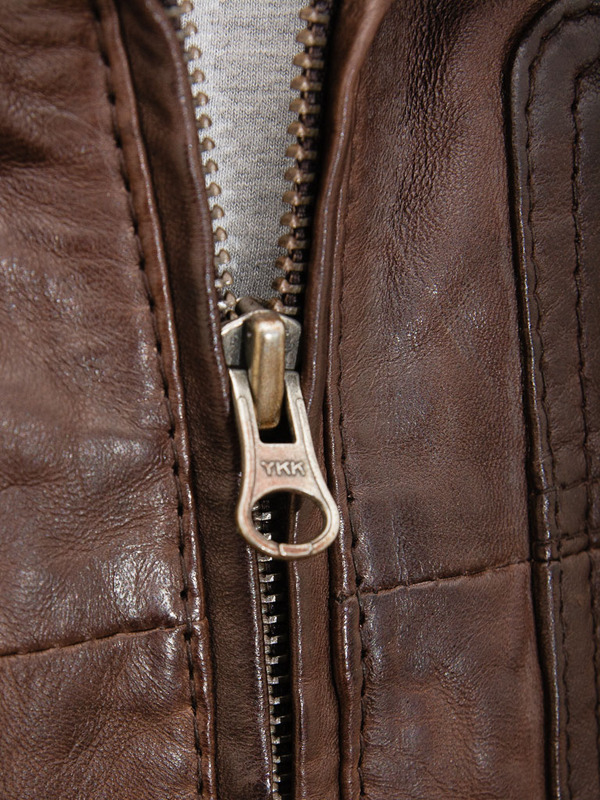 In addition the collar is fastened with a press stud tab and a sturdy YKK zip. 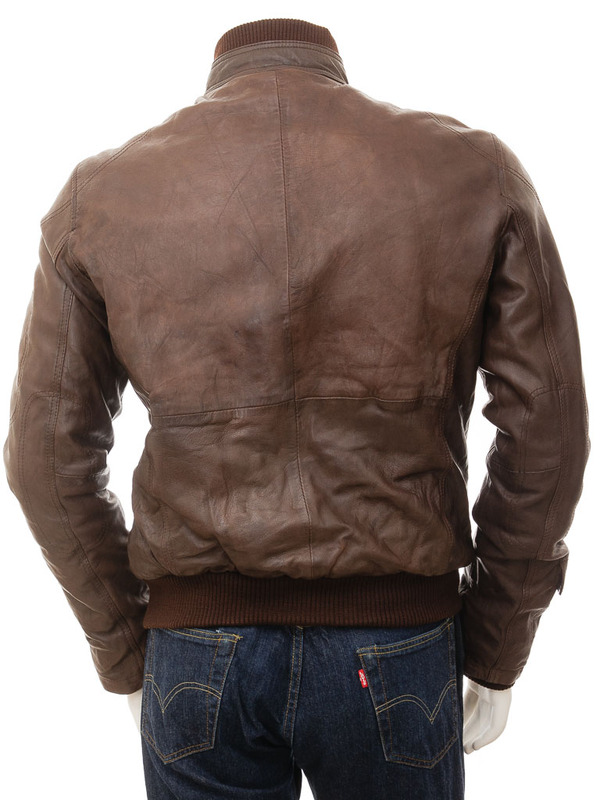 There is an abundance of pockets on this bomber jacket, seven on the outside alone and another two on the fully satin lined interior.